Tax breaks that took effect in late 2017 are proving to be a boon to contractors and farm operators who purchase used construction equipment. 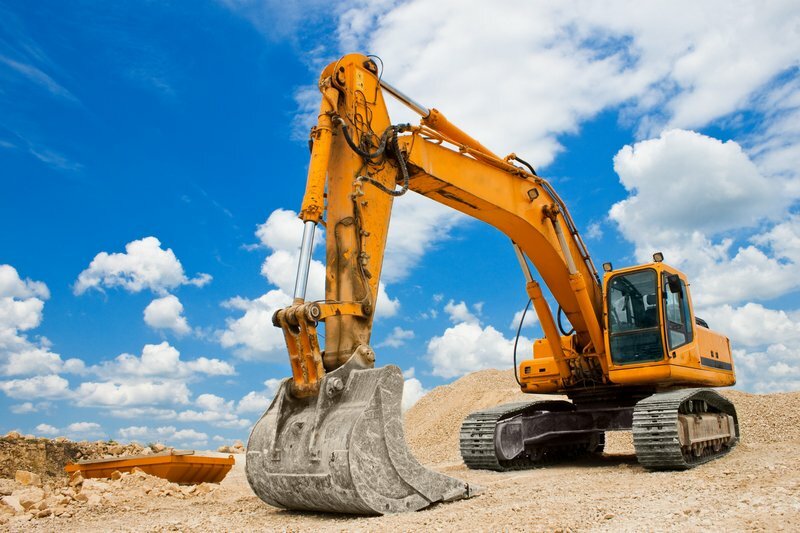 The two separate tax benefits, Section 179 deductions and first-year bonus depreciation, allow for the complete expensing of the cost of new and used eligible fixed assets, such as construction equipment, in the year they are put into service. The tax benefits will be available over the next five years. In the past, only new equipment was eligible for bonus depreciation, which had been only 50 percent of the total purchase price. Now, 100 percent of the amount of the equipment can be written off. The tax breaks cover cash transactions, financed purchases and leases. However, the equipment must be new to the buyer. It can’t be purchased from another company in which the buyer is a stakeholder, or from relatives. It also cannot be equipment the buyer previously has owned. Section 179 of the IRS code, which went into effect Dec. 31, 2017, raised the maximum depreciation of equipment purchases to $1 million from $500,000, and capped eligible purchases at $2.5 million, up from $2 million. The bonus depreciation is not capped. Most eligible entities opt to take the Section 179 benefit, and then claim the 100-percent bonus depreciation once the cap is reached. Both have been a boon to equipment dealers across the United States. “We’ve used these tools (to sell equipment) whenever they’ve been available, and we certainly like to remind our customers that they’re available now,” said Max Smith, CEO of Rickreall, Oregon-based Ag West Supply, who said his dealership’s sales are up “considerably” over 2017, thanks in part to the tax breaks, and also the strengthening economy in the Northwest, where many farmers produce nursery crops currently in demand because of a nationwide housing boom. He said an increase in tax breaks typically boosts the sale of new equipment because farmers who might have opted to buy used equipment in the past now find it advantageous to buy new because in most instances, they can write off the entire amount of the purchase up front rather than over a number of years. Once the Section 179 deduction or the bonus depreciation has been taken, the equipment cannot be further depreciated over time. The advantage of taking the write-offs up front is a realization of savings in today’s dollars, which can be used to accelerate loan payoffs or reinvested back into the business. “We’re not tax consultants, so we always tell our customers that if they want to get a better understanding of how these benefits can work for them, they should talk to accountants,” Smith added. Section 179 is limited to taxable income, and cannot be taken if the entity reports a loss, but that entity can still write off bonus depreciation. Peter Young, vice president of Central California John Deere dealer Belkorp Ag, said 2018 sales at his stores have been flat compared with 2017, as nut growers in the region grapple with tariffs and many dairy farmers struggle with a weak market. Young said the tax breaks, which will be around for a while, have not caused farmers to rush to dealerships to purchase equipment. But, they have helped farmers do a better job of planning equipment purchases rather than waiting until the last minute to see if Congress would approve the benefits or rushing to try to take advantage of fleeting tax breaks, as they have been forced to do in the past. That clarity also has been good for CPAs, who have been able to provide better direction to their clients. “The good news is, if you have a CPA who thinks from a planning perspective, it’s hard to make a mistake with 179 and bonus depreciation,” said Scott Olinger, vice president of the Louisville, Kentucky, market for Harding, Shymanski & Co. P.S.C., which also operates an office in Evansville, Indiana. Olinger cautioned that consumers should consider the rate at which they will be taxed before making the decision to deduct the total cost of equipment purchases up front because in some instances, it will be advantageous to depreciate the equipment over a longer amount of time. A strategy that often works for his clients making large purchases is to take a sizeable upfront deduction, and then depreciate the remainder in subsequent years. In addition to Section 179 deductions and the bonus depreciation, farmers looking to maximize tax benefits also need to be aware of the 20 percent business income deduction available for the 2018 through 2025 tax years, provided through the 2017 Tax Cuts and Jos Act. The pass-through deduction includes farming income reported on IRS Schedule F and Form 4835, “Farm Rental Income and Expenses.” It is equal to 20 percent of the net business income from sales to noncooperative entities. “If the farm makes $500,000 in a qualifying year, it takes the taxable income down to $400,000,” Olinger said, adding that the deduction is temporary. Section 179: So what’s covered?